The pillow gently supports your head, neck, and shoulders, distributing your weight, absorbing the pressure and promoting natural spinal alignment when you lie on it. You can have a better sleeping position and better sleep quality with this supportive contour pillow which reduces the pressure points to provide you maximum comfort. The contoured shape helps your tired muscles to relax and body to rejuvenate and recharge which makes it ideal for people suffering from snoring, neck pain, and stress. Specifically designed outer covers with different fabrics which breath freely, absorb sweat and add more softness and comfort in contact with skin. 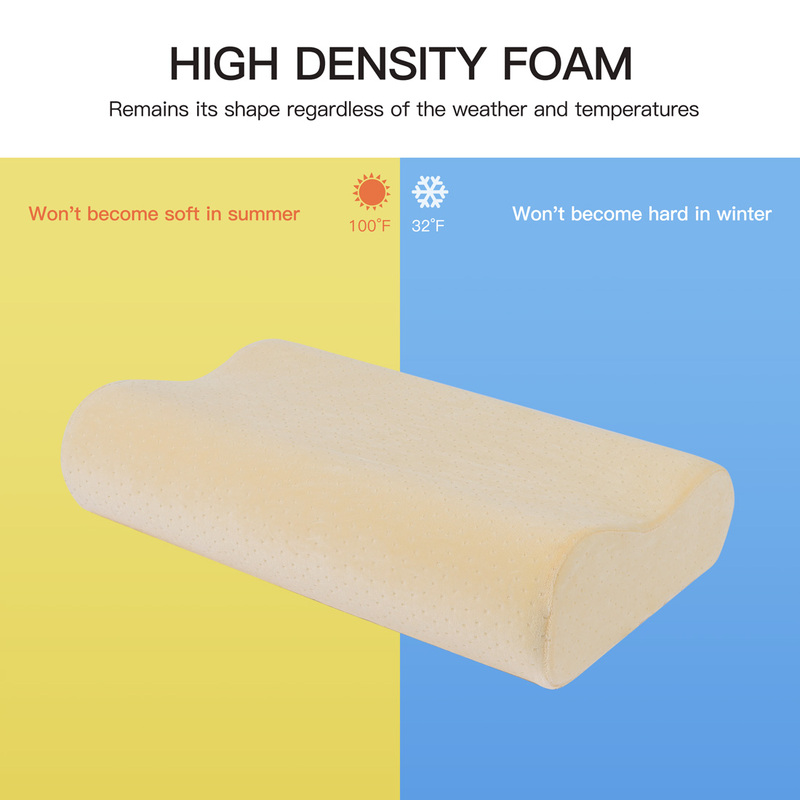 Contour shape foam, which is whole molded, keeps your head and neck naturally aligned and allows tired muscles to relax and rejuvenate while sleeping. Should you notice the slight odor when firstly unpacking your new pillow, do not be alarmed. This odor is harmless to your family and will dissipate within 24-48 hours, which depends on the air temperature and the ventilation in your room. 1: Do not wash the memory foam. 2: Do not expose the memory foam to the sunlight; You may make it ventilated in the shade every once in a while. 3: Cover machine washable: separate washing; wash inside out; mixed color cannot be soaked.